WX65 spot air cooler is a rugged machine constructed for demanding environments. It is built on a reinforced chassis and is housed in a tough steel case to withstand constant rough use. Large diameter easy roll locking castors make the WX65 fully portable and allow for safe and easy movement. Meanwhile, Spot Air Cooler is very easy to clean and maintain. Almost all that you need is a periodic washing the filters and cleaning of the condensate tanks and pump. 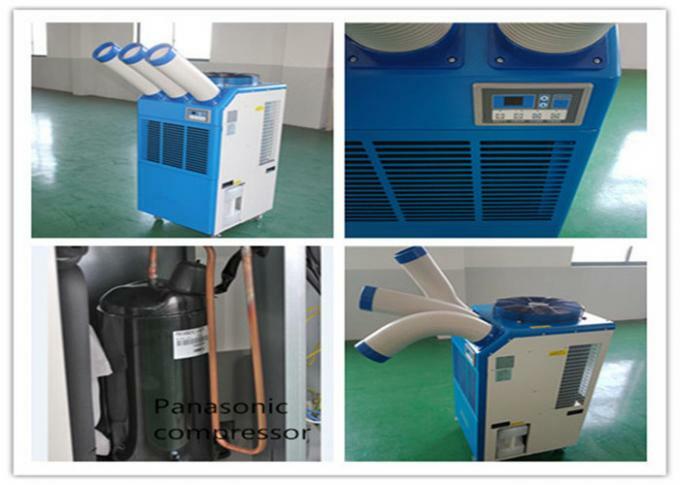 Compared with precision cooling, their energy consumption very low and help customers to save money. 1. Full intelligent control, humidity adjustable. 3. Dry and wet separation design, independent electronic control system, operation is more secure and reliable. 4. Humidity control, timing control, switch control can be chosen in a variety of ways. 5. The machine adopts the anti-burn and anti-corrosion design, which is very sage and durable. 6. Equipped with universal wheels, convenient to move. Full intelligent control. 1. Power button: activates unit when power button is pressed. (fan starts on low speed). if power button is pressed during operation, unit stops. 2. Blower button: changes fan speed from (low) to (high) when pressed. 3. Spot/cool button: activates compressor and begins producing cool air 5 seconds after button is pressed. 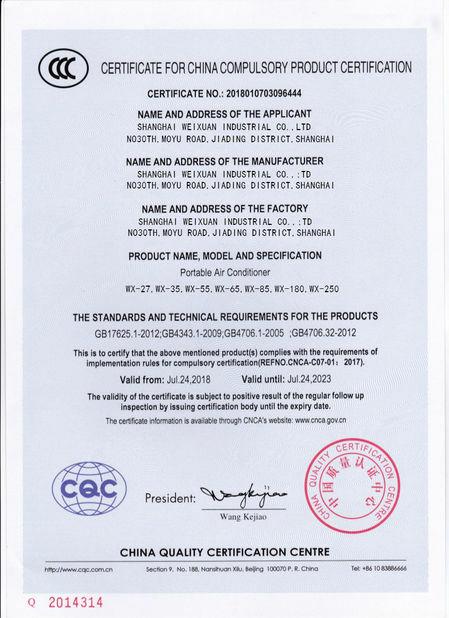 regulates temperature based on outlet cool air temperature. 4. Current temp: displays current room temperature in display. (in room cool mode only). spot/cool mode – displays outlet (cool air) temperature during normal operations. 5. Target temp: displays the unit set temperature for room/cool mode only. alarm codes blink and are displayed when abnormal operaɵ on occurs.